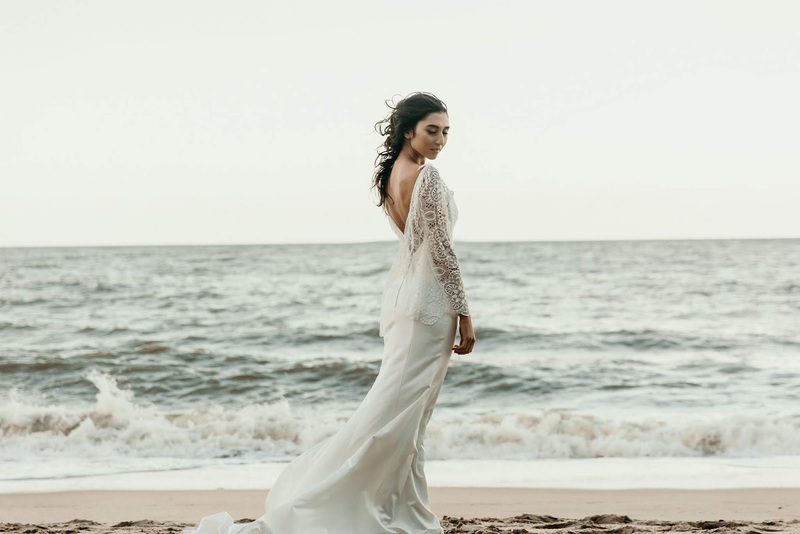 Jonovia Bride and Design offers the perfect Bridal couture for the relaxed yet fashion forward Bride. Whether you choose from a variety of Wedding gowns in their Cairns showroom made from the highest quality fabrics from around the world or have your dream custom couture designed for your special day, this team of two dedicated Bridal Couture designers will bring your Wedding gown wishes to life! 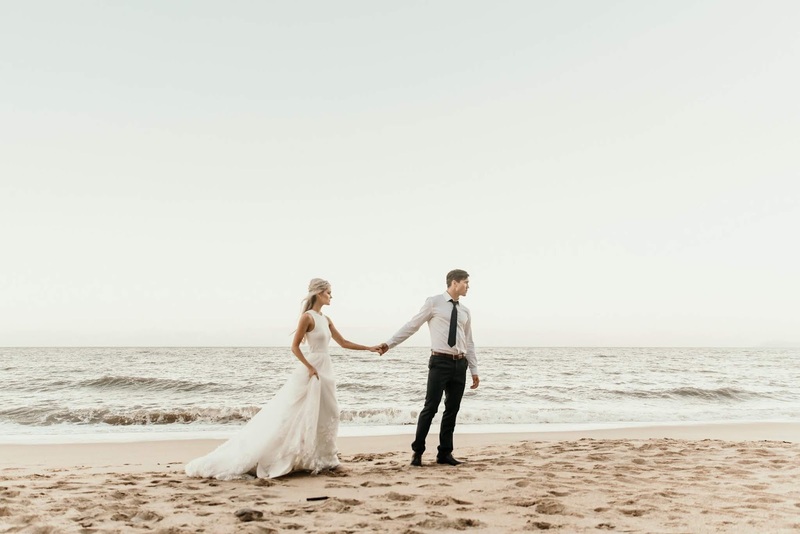 ➳ Tell us about what Jonovia Bridal offers Brides for their Wedding day? 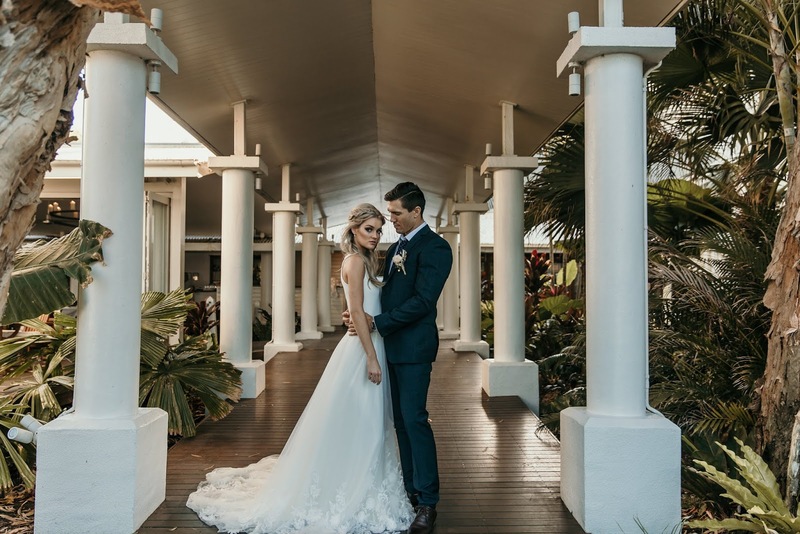 Jonovia is proud to offer a collection of international and locally designed gowns only available in their Cairns showroom. With laces and materials hand sourced from all over the world, any bride can be sure they feel one of a kind on their special day. ➳ How and when was Jonovia Bridal born? 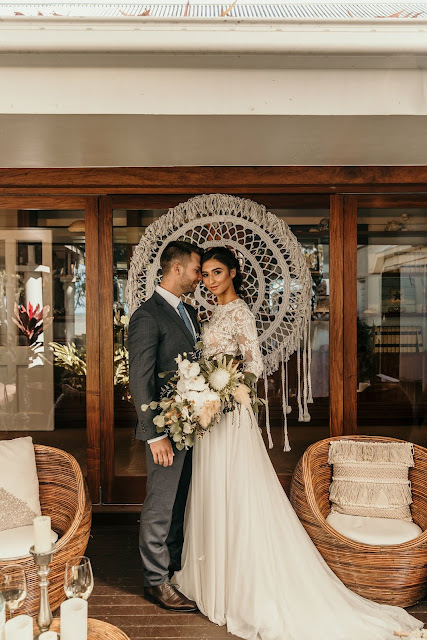 Alison, the owner of Jonovia Bridal had recently been married in Port Douglas and saw the need for a more relaxed yet fashion forward bridal store in Cairns and from that Jonovia Bridal was born! 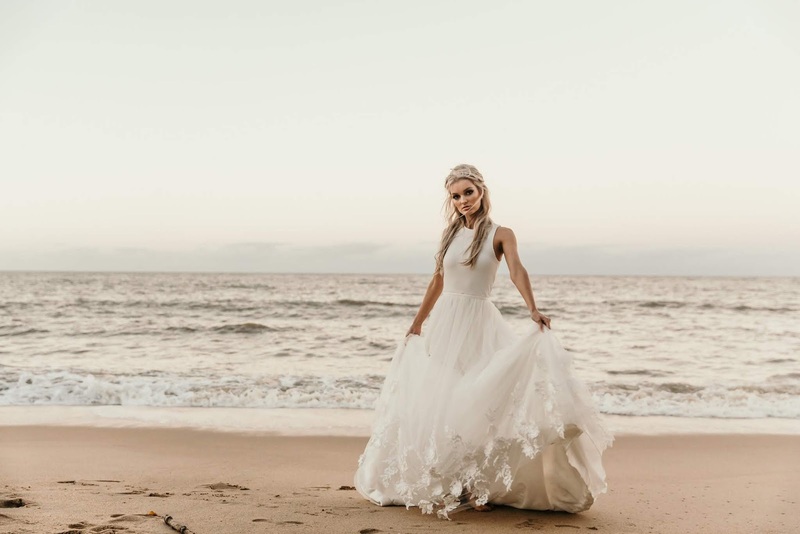 Jonovia launched it's first collection in 2013 and since then we have proudly been offering brides custom couture designs as well as our current collection offering a variety of styles, laces and materials. ➳ Did you always know that you wanted to design Bridal couture? It happened completely by chance! Both Alison and Annika the designers of Jonovia fell into this industry by chance, We like to say the industry found us. I think Bridal is one of those things, once it's in your veins it's hard to not be addicted. ➳ Do you have any funny stories that you would like to share from your experiences? A lot of hand sewing goes into creating our first sample of a new design so often by the end our eyes and brains can become a little delirious. One day I was sitting down finishing off a design intricately sewing each stitch and had finally finished only to stand up and realized I had stitched through the gown and caught my pants in every stitch. I know some couture gowns can be quite out their but I think a bridal gown with a pair of pants attached might just be a little too out there! ➳ What advice would you offer to a Bride that is just starting out on their search for the perfect couture? Try on everything! Even if it's not what you had in mind you never know what might surprise you. 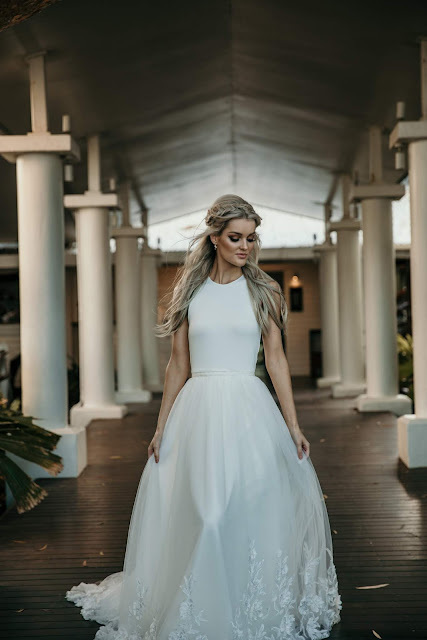 If I had a dollar for every time a bride insisted that they didn't want a big poofy wedding dress and then put one on and instantly burst into tears. 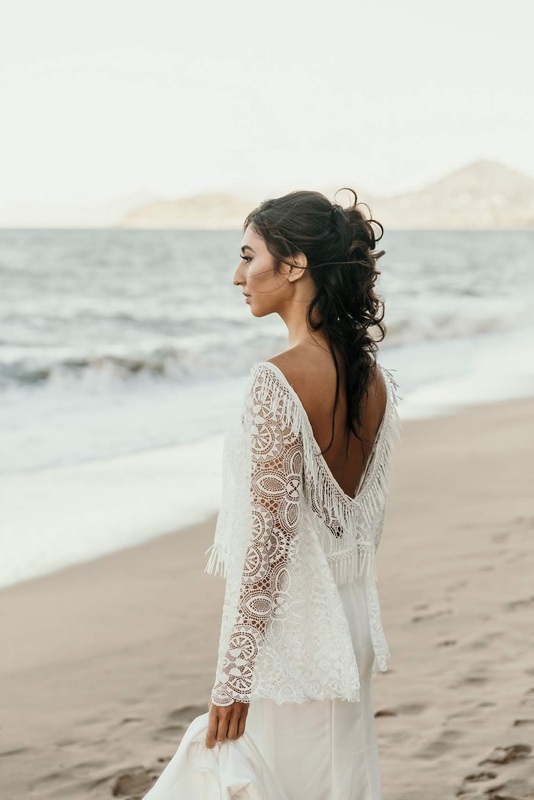 We often see a lot of brides who come in with images on their phone of the exact style they want but often what you think might look great on you might not and vice versa. ➳ Do you have a personal favourite style? It's too hard to pick a favourite! It would be like trying to choose a favourite child, you just can't. I am currently loving the sheath silhouette, it's such a flattering style so be sure to keep your eye out as we a few new exciting designs in the works. 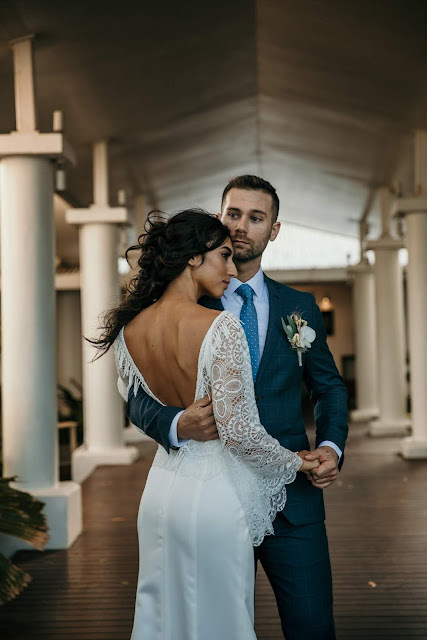 ➳ Tell us about the best part about what you do:The moment a Bride finds their dream gown, its indescribable - It seems so silly that a gown can bring out such emotions in someone but for some Brides, it's the first time they feel truly beautiful and being able to help them feel that way is such a privilege.